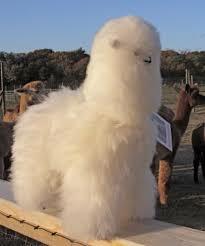 This alpaca is made from the hide of an alpaca. No animals were harmed to make this product. In Peru where conditions are not as ideal as in the United States, alpacas die regularly. The Peruvian people use their hides to make these wonderful stuffed toys.